Some time back, AssistRR received a call from a teacher (Mrs Lilla Acord), attached to Brindishe Manor school in Lewisham, South East London. 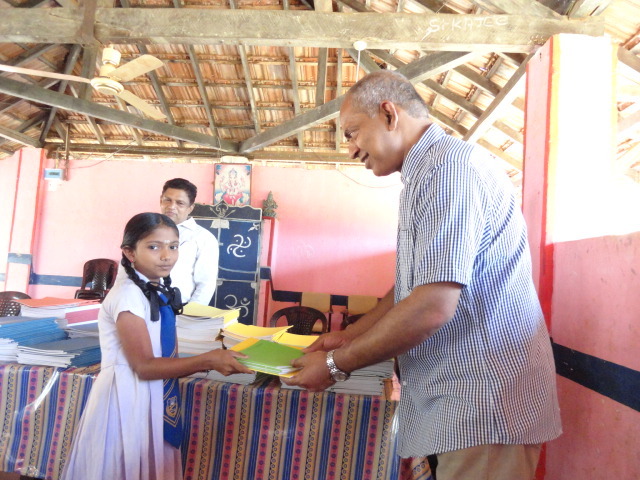 She told that her school had some surplus exercise books and searched the web to identify a charity for donating the books. 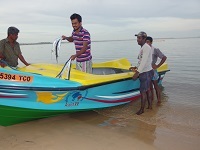 She said that they came across our charity on the internet and called to discuss it. 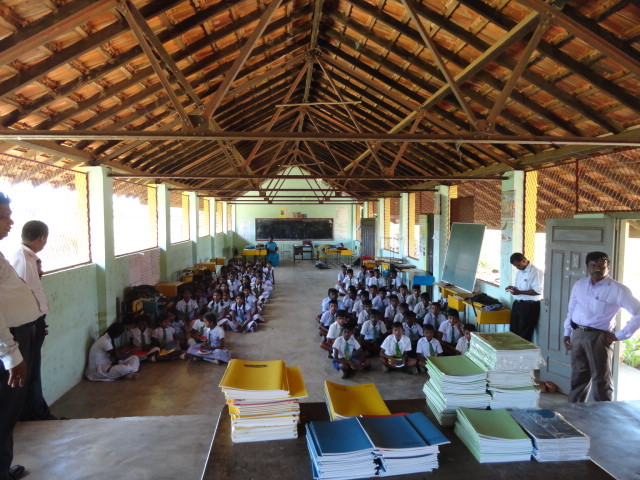 AssistRR gladly agreed to accept them and our trustee Mr V Sivakumar visited the school and collected 4 boxes full of exercise books, which were then shipped to Vanni. 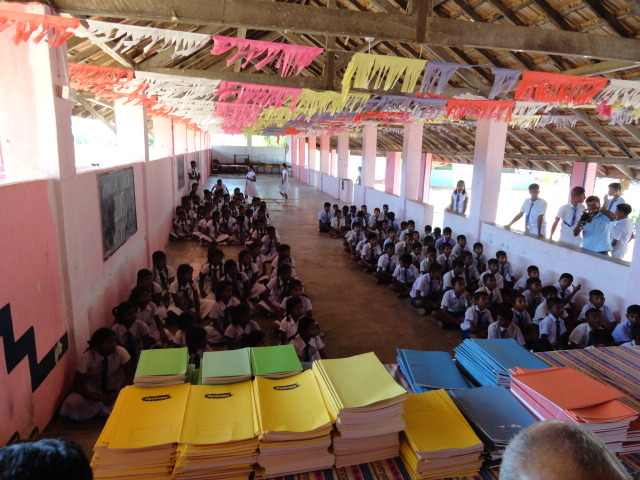 When AssistRR visited Vanni in June 2015, these exercise books were donated to a number of children in Pandiankulam and Siraddikulam in Thunukkai. The books were gratefully received by the principals and the children at the schools of these villages. This shows that “anything is possible”. 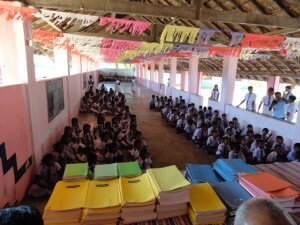 Books meant for throwing away at Brindishe Manor school in London finally ended up at Padiyankulam School in Thunukkai. Let us try and find more people like Mrs Lilla, so that a lot more can be done to alleviate the sufferings of our unfortunate people badly affected by the war.